As we settled into 2016, Einstein Law released five new sites during the first quarter. A revelatory Google algorithm change that happened in 2015 had given the SEO industry a new focus on the importance of creating outstanding user experiences on mobile devices. Although this change was a bit of a curveball for everyone, our engineers and analysts writers rose to the challenge by implementing changes that make our clients’ sites equally navigable on both mobile and desktop devices. 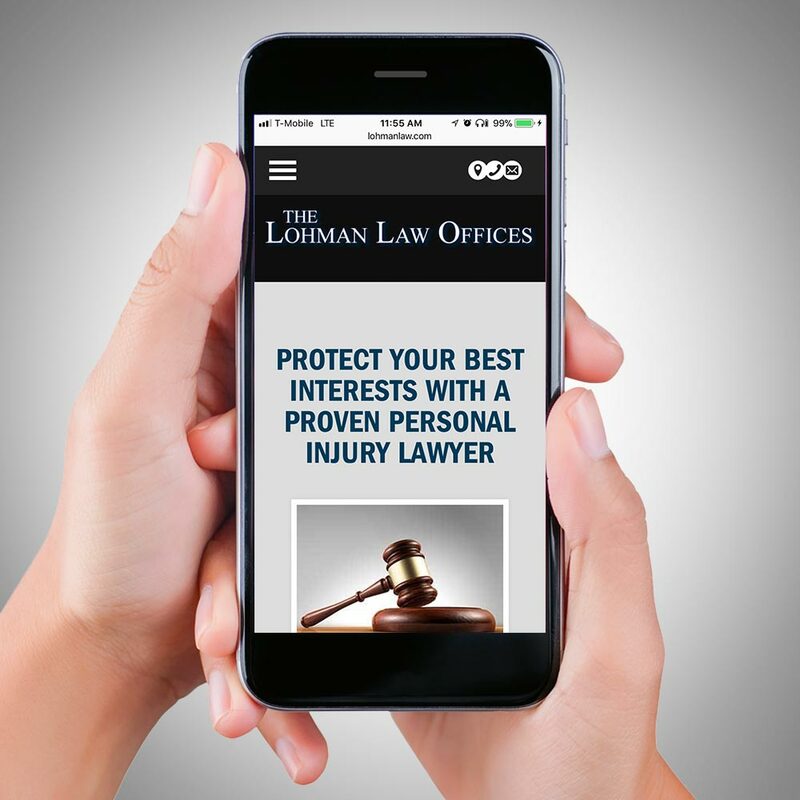 For instance, viewing the site of attorney Sean Lohman on both a smartphone and a desktop computer reveals a streamlined user experience from both vantage points, but with some key differences. The site was constructed using the Innerspace template, which uses an extremely simple and user-friendly layout steeped in just a few primary colors. While the view on a desktop computer presents an ultra-clean layout in which elements such as highlight buttons are placed horizontally, these elements become vertical when viewed on a mobile device, with the buttons nearly reaching the edges of the screen. As the user scrolls, they are provided with a swift and thorough introduction to the practice that is supremely compatible with scrolling. Of course, the layout provides many opportunities to reach out to the practice, but never to a degree that obstructs the opportunity to learn. 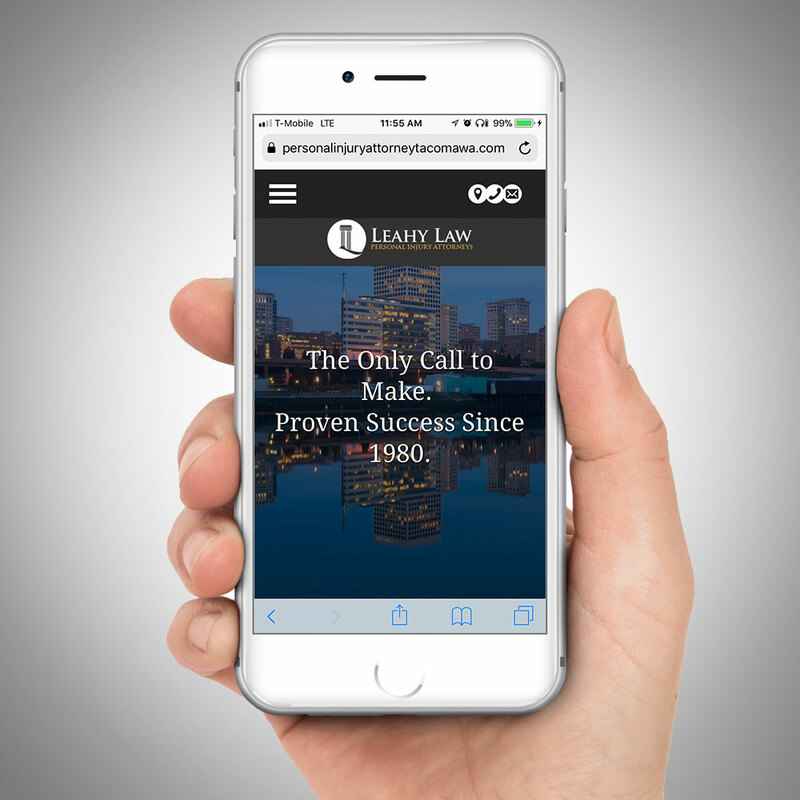 The website of Leahy Law features a similarly intuitive layout, albeit with a unique touch of atmosphere reflecting their homebase of Tacoma, WA. Users are immediately greeted by a headline backed by a familiar image of the Tacoma skyline. The text is presented in a white sans-serif font against a black background, creating an informative experience that is easy to read and navigate, while making it simple to reach out to the practice. Einstein was able to meet the new expectation of a sleek mobile experience above all else, saving our clients from suffering the wrath of a new Google algorithm. Still, we continue to look for new and better ways of catering to users who are depending less upon their desktop machines to find the legal services they need, laying the groundwork for many more innovations to follow in 2016. 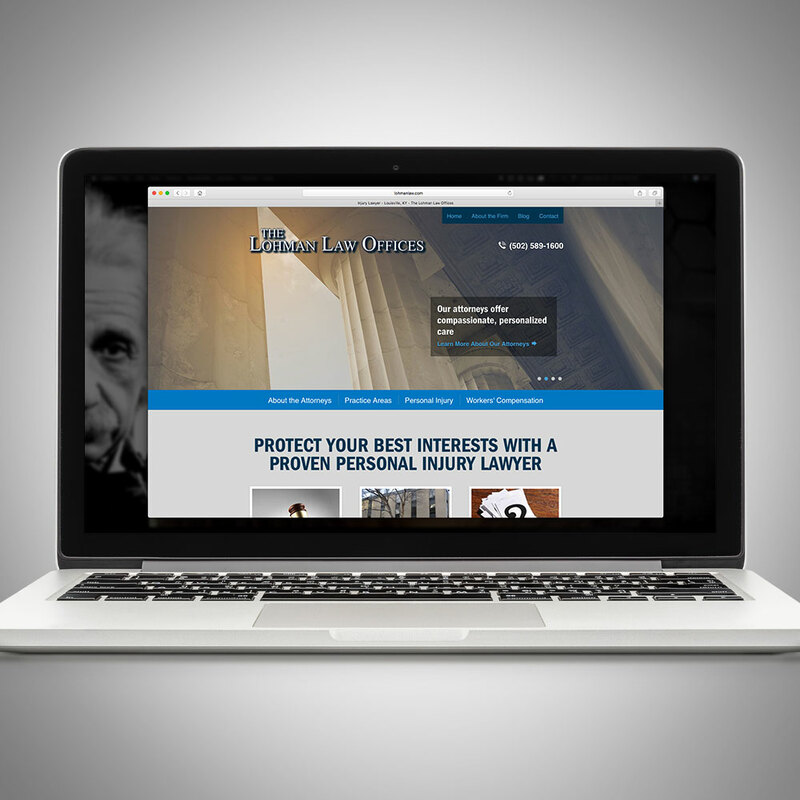 Client: Sean Lohman / The Lohman Law Offices, P.S.C.